Rachel is a respected expert in Australian truffles, and one of only a few leading women involved in this subtle but captivating culinary sector. Rachel comes to truffles like a curator comes to art – with a deep respect for producers and a distinctive ability to discover and hand pick exceptional truffles. Rachel knows that not all truffles or truffière’s are created equal. Having started with dreams of her own farm, Rachel came to realise that her talent lay in understanding the soil, climate and growing conditions that would transfer from France and Spain to Australia, using that to identify exceptional producers who share her passion for quality. She works direct with industry experts and Australian farmers to build the relationships and knowledge required to stay on top of her game. She uses that expertise to connect with Australian and international chefs who transform this timeless food for contemporary palates. The Truffle Queen is a leading exporter of Australian truffles, passionately representing some of the finest and most characteristic Australian producers. The rising stars in the global truffle market, Australia is the fourth largest producer of truffles in the world, with a distinctive and maturing terroir – the unique combination of place, environment and conditions that gives a truffle its inimitable flavour. Growing her business exclusively from word of mouth and recommendation, Rachel’s approach to truffle is based on trust and respect – trust for producer and customer, respect for the product and those who consume them. In this way, The Truffle Queen is on target to become one of the largest independent exporters of black winter truffle in Australia, drawing on multiple producers to ensure a quality and consistency of supply through Australian distribution networks at a competitive global price. A member of the Australian Truffle Growers association and the Victorian Truffle Growers association, Rachel works closely with some of Australia’s finest chefs and restauranteurs, including Shannon Bennett (Vue de Monde), Shaun Quade (Lûmé), Philippe Mouchel (Philippe), Scott Picket (Estelle), Shane Delia (Maha), Guy Grossi (Grossi – Florentino), and internationally renowned pastry chef, Pierrick Boyer. An in-demand speaker and masterclass guide, she is a regular guest at food and wine festivals and events. Just as a professional kitchen downs tools for a freshly harvested truffle, Rachel delights in bringing audiences into the subtleties of this culinary world. Rachel knows that working with truffle is no ordinary “job”, it’s a labour of love and passion. 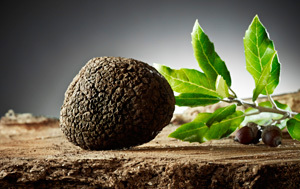 The story, journey and history of truffles is a delight for newcomers and devotees alike.